You will earn 8,090 Reward Points. Earn 1 reward point for every 1 dollar spent. 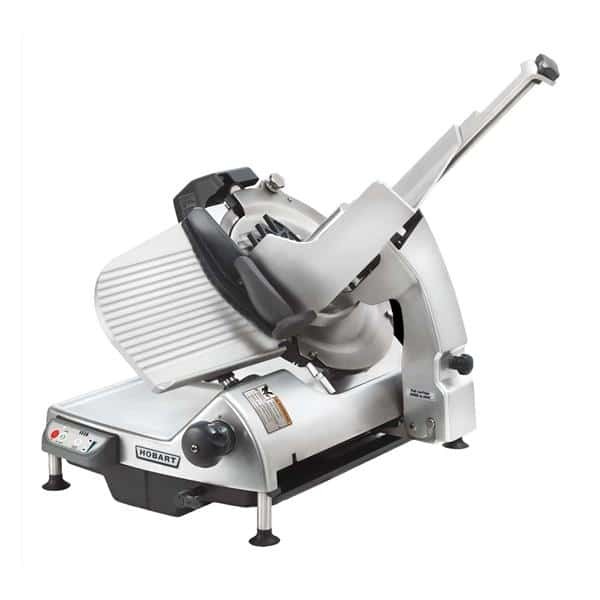 The Hobart HS7N-HV60C Heavy Duty Meat Slicer is an automatic slicer that comes equipped with a 13" CleanCut knife with a burnished finish, three stroke lengths, and four stroke speeds. It also includes a removable meat grip assembly, removable ring guard cover, single-action top-mounted knife sharpener, cleaning kickstand, and 240v power cord. The Hobart HS7N-HV60C Heavy Duty Meat Slicer makes clean and direct slices, allowing you to create picture-perfect slices of food. It uses a voltage of 120/60/1. This slicer is 27.25 inches tall and 30.31 inches deep.